02 Aug 2018 --- Two new guides have been published in India to help the country’s health supplement industry adapt to recently implemented regulatory requirements. Produced by the Resource Centre for Health Supplements and Nutraceuticals (ReCHaN), their publication is significant because they aim to function as a key stepping stone towards ensuring consistency of practice across India’s supplement industry and will assist in the application of relevant legislation governing the sector. The Health Supplements and Nutritionals Compliance Guidance Document addresses new regulations introduced at the beginning of 2018 to regulate the industry. It covers product definitions, labeling requirements, ingredients and rules on licensing and importation. It also considers the international regulatory perspective and situations where an issue of interpretation may arise. The document will help move India’s supplement businesses towards global alignment and will be updated as and when new information appears. 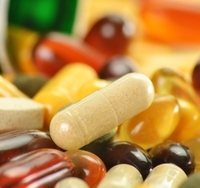 The Health Supplements and Nutraceuticals Guidance Document on Good Manufacturing Practices explains procedures for ensuring high standards of safety, hygiene, quality and traceability, among others. Produced in partnership with the Food Safety Standards Authority of India (FSSAI), it provides foundation level requirements for the manufacture of health supplements within India’s food safety system. These requirements are based on the core elements of Indian standards, as well as international best practices, and have been developed to be achievable by all companies, large and small. ReCHaN was established in July 2017 through a partnership between the Confederation of Indian Industry (CII) and the International Alliance of Dietary/Food Supplement Associations (IADSA). The publication of the documents follows the signing earlier this year of a Memorandum of Understanding (MoU) between FSSAI, CII and IADSA. The three bodies have agreed to work together to give ReCHaN the support it needs to strengthen India’s health supplements sector. “The health supplement and nutraceutical sector is set to grow significantly in India. IADSA is delighted to cooperate so closely with FSSAI and CII to share our global expertise to help build a sound framework for the development of regulation, science and policy,” says Simon Pettman, Executive Director of IADSA. Based in New Delhi, FSSAI sets science-based standards across India for the manufacture, storage, distribution, sale and import of food products. It is responsible for developing, implementing and enforcing India’s regulation on the safety of health supplements and nutraceuticals. Also located in New Delhi, CII is a non-government, not-for-profit, industry-led organization that supports the development of India’s economy. It is India's premier business association with more than 8,500 members from the private and public sectors.